You can't eat anything in this picture so I'm just going to leave it here and not talk about it. Here we go with trip report #2 out of 3: Kyoto! Once again the map is available here. If you really don’t care about travel or food then just, wow, your life must be miserable. But at least after this post you only have one more trip report to ignore. So. Um. Good. Moving on. Sorry to be obvious but… you need way more green tea ice-cream in your life. It might be a stretch to demand that you travel to Kyoto just to go to Nakamura Tokichi, Kyoto is probably super far away from you, but if you go to Kyoto you should definitely pencil in as many trips to Nakamura Tokichi as your schedule allows. We went every day that we were in Kyoto . That wasn’t nearly enough. Don’t repeat our mistakes. Nakamura Tokichi is known for desserts and green tea. They have a sit down option upstairs if you want to get really serious with it. We didn’t. 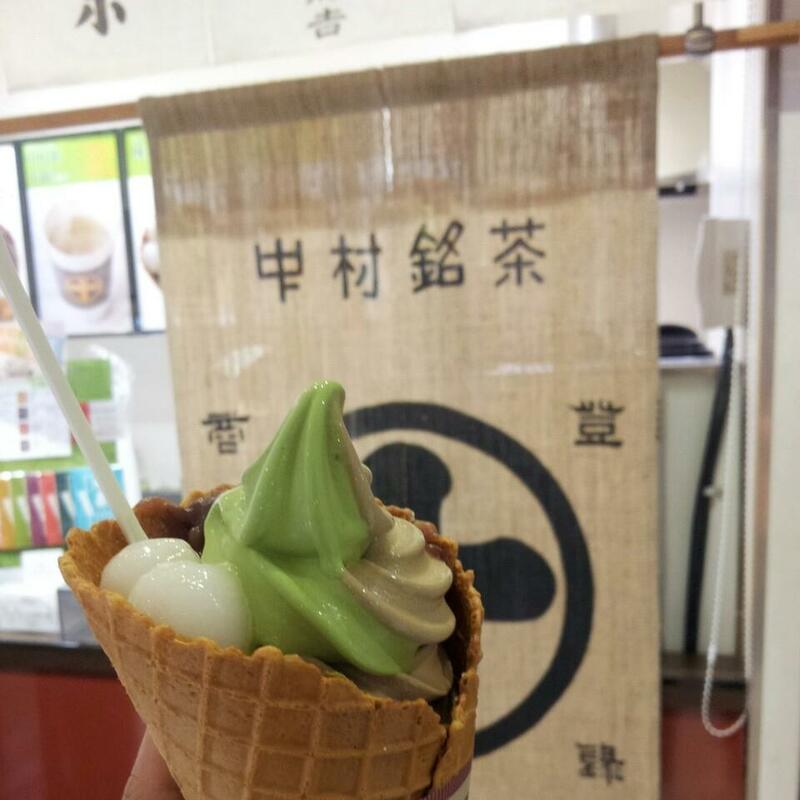 Instead we found the ground floor walk up counter that focuses on making the best green tea ice-cream I’ve ever had. “Delicate, creamy, balanced” these are words that describe beautifully executed Japanese green tea ice-cream. Don’t expect it to be “explosive, intense, an edge of your seat thrill ride”. This isn’t a green tea punch to the gut. When you eat Nakamura Tokichi your voice should get really deep and you should say “ohhhhhhh yeaaaaaaah, thats niiiiiiice”. It is nice. I completely agree with you and your deep voice. Finding Nakamura Tokichi in the train station can be a challenge in itself. I would suggest hunting for their cross emblem somewhere near the Suvaco Isetan. Verdict: Not eating more Nakamura Tokichi was my biggest mistake in Kyoto. Is this katsu pretty? Beautiful? Voluptuous? I don’t even know the right word. I just want to keep looking at it. Basically Katsukura convinced me that I’ve never actually had katsu in my life and everything I’ve ever eaten that I thought was katsu was actually hot garbage . There is a ritual to katsu in japan: Not just pork or chicken or any of that shenanigans. You want pork? Great, which producer do you want that pork from? Next, grind your own sesame seeds fresh by hand. Then mix your sauce to taste. Marvel at the pretty/beautiful/voluptuous-ness when your food arrives. Finally, eat. You eat the food at the end. That’s the whole point… the eating part. How do they get the fry on the katsu to be so impressive? I don’t know. I’m not a katsu professional. Apparently all the katsu I’ve ever eaten before was hot garbage . But you should check out Katsukura and try to find out. Verdict: I didn’t do a tour of all katsu places in Japan so I can’t say if this is the #1 forever greatest best, but the quality is so significantly higher than anything I have had in the US that it is definitely worth checking out. Ichiran is a chain that you can find all over the place in Japan. There is even one in Shibuya! But, I don’t care, we ate at this particular Ichiran in Kyoto and it was excellent there so I’m putting it in the Kyoto. Ichiran offers Tonkotsu ramen so get excited for delicious pork broth. Their secret sauce is a… secret sauce. All I can tell you is that it is red and it is rich and it is delicious. Ichiran gives you the options to pick your spice/heat level, but their strict warnings not to make it too hot on your first visit kept us from turning the spice up as high as we would have liked. I think I got a 3 and it was not spicy. Like things spicy? Don’t be afraid, put down a 5 or some other large integer and get ready for hot burning tasty. 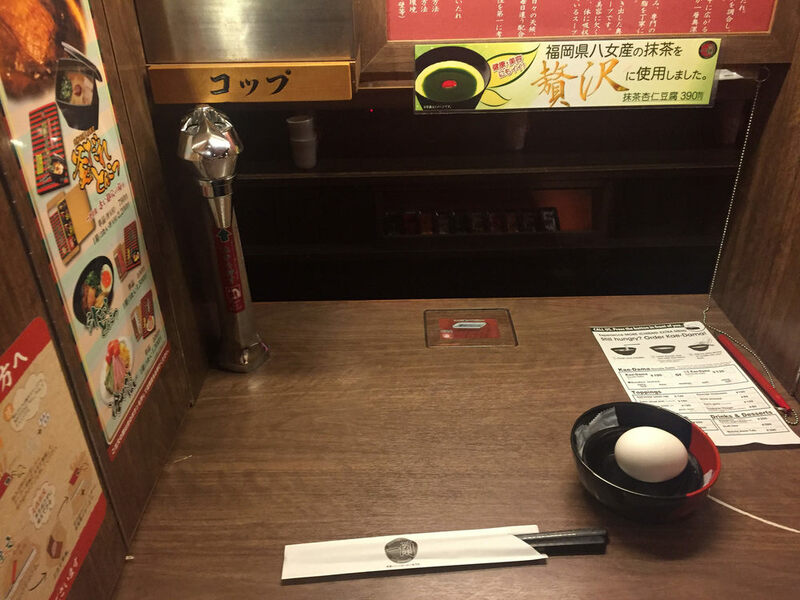 Ichiran has one more standout feature: privacy. Everyone gets their own private booth to get nasty on noodles without prying eyes. You don’t even see the wait staff! They hide behind curtains and just their hands pop out to give you your ramen. It is like a robot restaurant because you don’t really have to interact with people but the humans are robots and I’m confused now never mind it is not like a robot restaurant. They have booths though. Booths. To be fair, this recommendation may be short lived. Ichiran is set to open two locations in NYC  and maybe they will be as excellent as the Kyoto location. That doesn’t change how great the Kyoto location is. Verdict: Eat that ramen SON. Nishiki food market has street food for daaaaaaaays. What I feared would be touristy and stupid was actually local and densely packed with awesome. Fight through the crowds and find things ranging from local ingredients to snacks to full meals. And also huge quantities of freshly made bonito! God I wish I lived the type of life that required giant bags of fresh bonito on a regular basis. This is barely a recommendation. 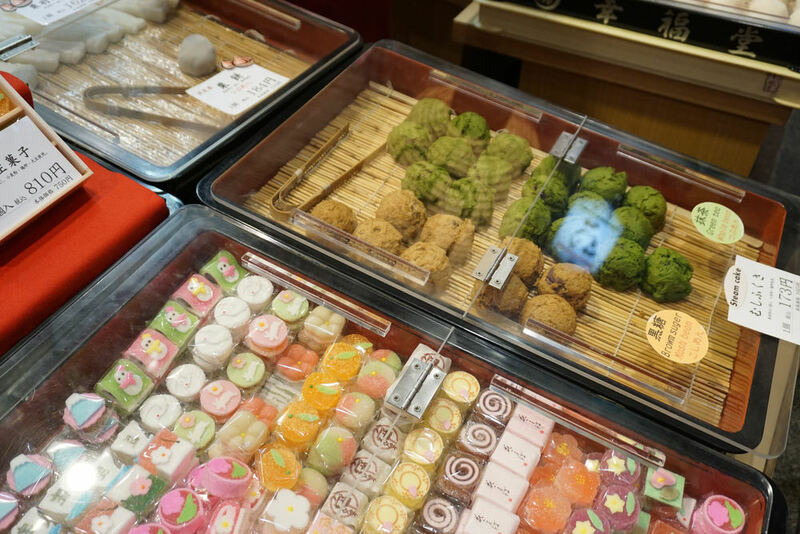 OF COURSE you will go to Nishiki food market if you go to Kyoto. Instead, Nishiki food market is a reason for you to go to Kyoto. Verdict: A food street that locals actually shop at full of tasty tastes? This is obviously somewhere you will go. Transported straight out of the… 1920s? 30s? 50s? I don’t really know decades that well. Elephant Factory is transported straight out of the past though and whatever era it is from it is just nailing that vibe. Maybe you should show up in a three piece suit wearing a bowler hat smoking hand rolled cigarettes? That could probably work fine at Elephant Factory. This is the type of place that you have to find. It is hidden down a back alley and I really hope you are using a map of some sort. But it is deeply worth finding. Elephant Factory will make you think back fondly on your time in Kyoto. Just drink that atmosphere up. I guess get the coffee too. It’s fine coffee. They try really hard and take a lot of care with it… but the roast profile of even their lightest option is still pretty dark. I don’t actually know why they go through so much care and trouble on such dark coffee. But, I get it, maybe you don’t like acidity and brightness. If you are into roasty dark coffees then you will probably love what you drink here too. It doesn’t really matter though. If I’m ever in Kyoto I’ll be back just for the chance to spend another hour in whatever decade this shop is from. Verdict: It isn’t going to make Scandinavia proud, but Elephant Factory still has a special place in my heart.